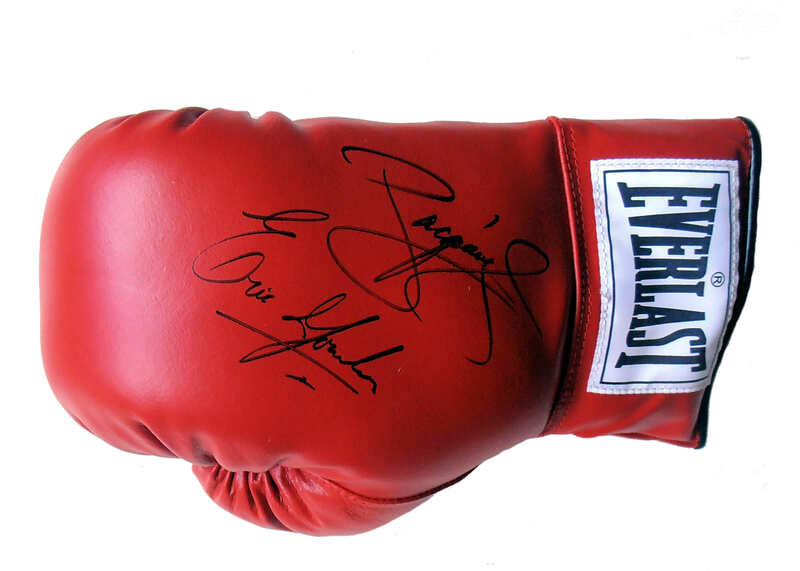 Description : Here we have a fantastic signed 10oz everlast glove signed by both the Filipino Icon & 8 division world champion Manny Pacquiao & Mexican Legend,Erik Isaac Morales Elvira. Who is the first Mexican-born boxer in history to win world titles in four different weight classes. 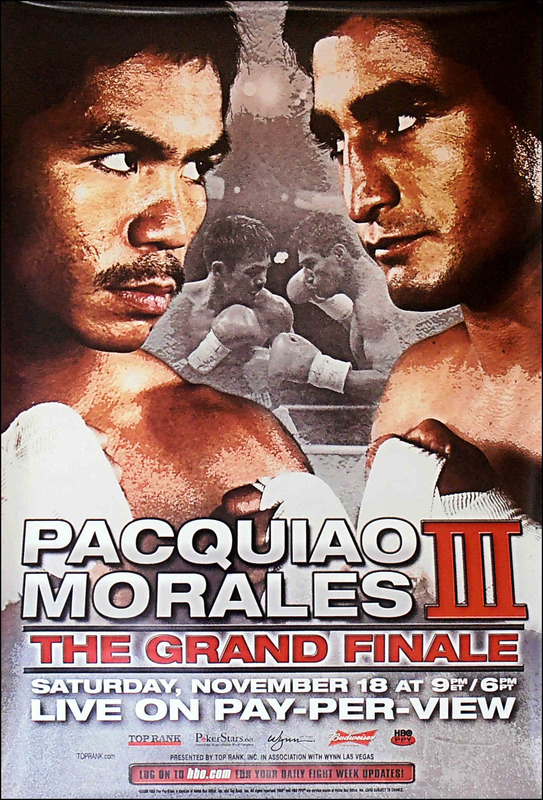 He is a former WBC Light Welterweight Champion, WBC & IBF Super Featherweight, WBC Featherweight (x2) and WBC & WBO Super Bantamweight Champion........Morales has defeated 15 different world champions during the course of his career. These 2 icons fought a thrilling trilogy with Morales defeating Pacquiao in the 1st fight but subsequently suffering defeat by TKO's in the 2nd/3rd encounters. 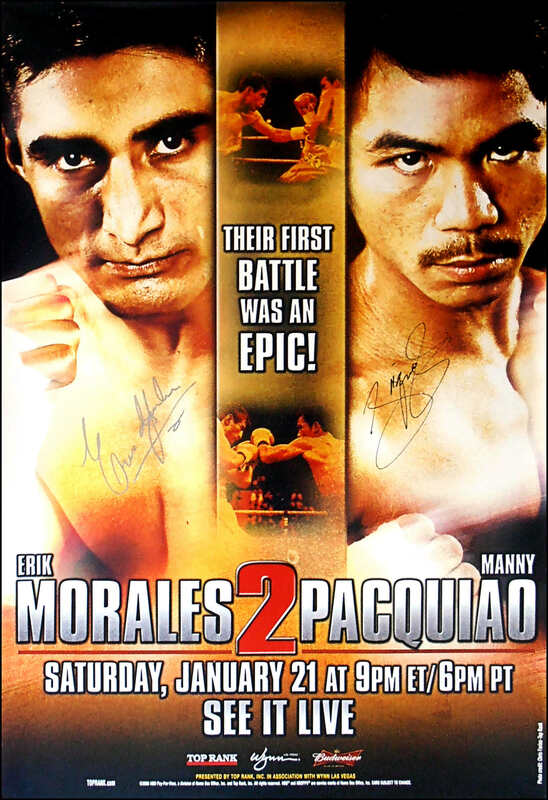 This superb Manny Pacquiao & Eric Morales dual signed glove will be accompanied with an LOA lifetime guarantee of authenticity from KOfightposters.com.